Using the Auto button in Lightroom and ACR’s Basic Panel (it may be the first AI feature used in Photoshop) was added in December of 2017 and many people think it is a great starting point for post-processing. But you can also just hold down the SHIFT button and double-click on any of the individual slider tabs to set just one of the Auto values. For the Adjustment Brush in either LR or ACR: If no pin is selected (highlighted), whatever settings chosen will be the values for the next new pin; if pin is selected, the settings will only apply to that pin – if New pin is clicked, the settings go back to the old values. This had confused me for a long time. 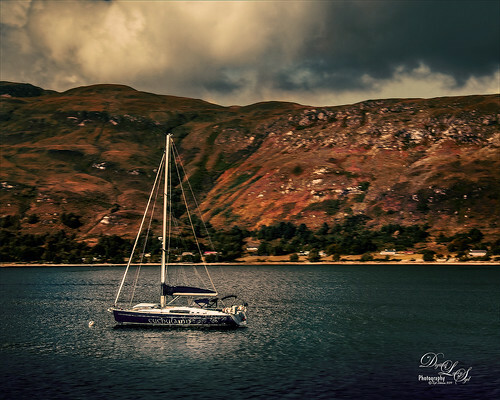 From Unmesh Dinda, a Lightroom trick only – click on the little triangle on upper right side of the Adjustment Brush panel – it will bring up an Amount slider so the total effect created by that pin can be adjusted. Unmesh’s second tip, also for Lightroom only: In the regular Adjustment Brush panel, once a section is painted, ALT + click and drag over pin in photo to increase or decrease all the sliders but this time proportionately which also will adjust the total effect. I think this is really something! From Matt Kloskowsky: Can draw a straight line with the Adjustment Brush by clicking once, and then SHIFT + click at end point – works just like in Photoshop. 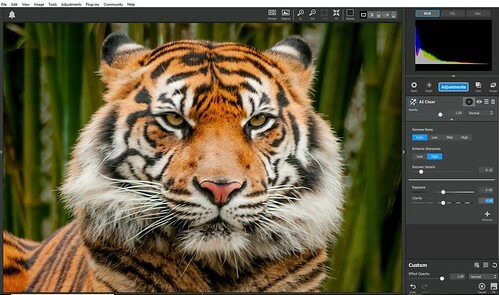 Also from Matt a Lightroom tip only: When using the Adjustment Brush, hold the CTRL key to paint close to the edges of an object – it essentially turns the Auto Mask checkbox on. Just let go of CTRL to release. It will not indicate when it is on in Brush section, but it is on. This tip is from Serge Ramelli (see link at end on my blog on him – almost all of his work is done in Lightroom) – if you have converted image to black and white and there are halos in your image, look at your Black & White Panel to see if any of the color settings are larger than -50 – it will cause halos, especially in skies. From Rob Sylvan, hold the ALT Key while moving the Defringe Amount sliders in the Lens Correction Panel’s Manual section. This is really a great way to see what effect it is having on just the discolorated edges in Lightroom but not Camera Raw. This also works with the Hue sliders but I did not see that it helped much in Lightroom but worked great in Camera Raw. So try both sliders when adjusting your image. Also from Rob Sylvan: Sometimes removing the purple or green fringe from your image can reduce the saturation in parts of your photo where you want the color to remain. 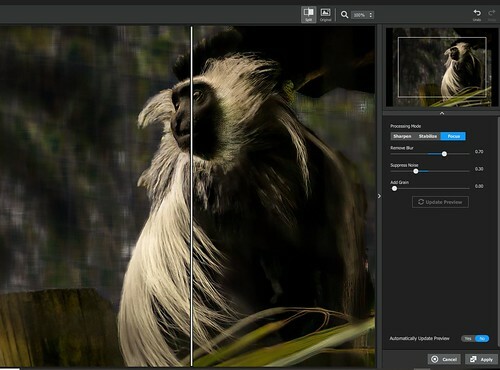 To fix, first make adjustments in the Lens Correction Panel; when finished, select the Adjustment Brush and reset sliders to 0 (click on the word Effect – turns into Reset) except for the Defringe slider that should be set to -100. Paint over areas of image to remove the unwanted Defringing, especially where there a similar colors to the fringing. Don’t know where those areas are? Do Step 8 and it will show what areas are being affected. 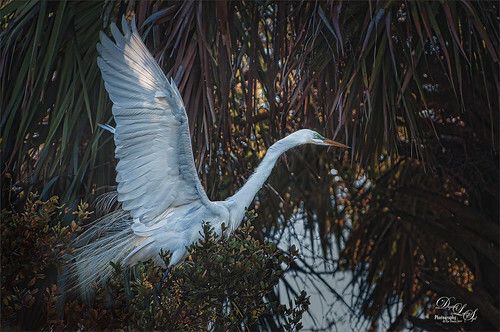 From Scott Kelby, to enhance Detail in Lightroom, use the Clarity slider (don’t go too far or halos will appear) which adds midtone contrast and causes the image to be darker; to fix just adjust the brightness by moving the Exposure slider between 20 to 30. Great for hard edged shots but not for people images. Use the Calibration Panel to tailor your colors. Can still use these colors with the Basic Panel Tint and Tones. From Matt Kloskowsky, to fix bad lighting, decrease Exposure and increase Whites. When using the Detail’s Sharpening section, Martin Evening suggests using these settings: Set Radius to 0.7 to 0.9 for images with lots of fine lines, and 1.1 to 1.3 for softer edges as in portraits; Detail slider – as you increase the amount above 25, more chance for halos so keep at 25 or below; and the Amount slider acts like a volume slider for sharpening. 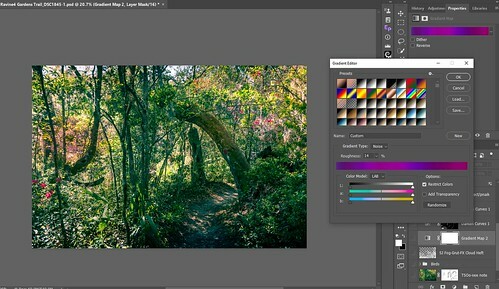 From Blake Rudis, when creating LUT files (or profiles used in LR) in Adobe Camera Raw (see below for link on how to do this), use adjustments that are unique to Photoshop like Solid Color, Levels, Curves (more precise in PS), Channel Mixer, Color Balance, Gradient Map, and Selective Color Adjustments Layers. Seems intuitive but good to remember. • Control-double-click in the image area to expand the Radial Filter to the visible image area. 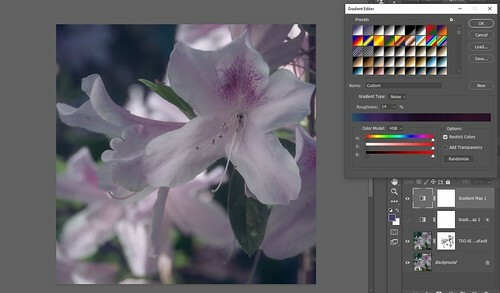 • Control-double-click on an existing Radial Filter will expand it to the visible image area. • Control + Alt-drag an existing Radial Filter will duplicate it. • Double-click on an existing Radial Filter will apply the Radial filter and dismiss the tool. This week I am just going to explain how this Red Ruffer Lemur turned into a purple Lemur – possibly trying on his Easter outfit? This technique that I learned makes this so easy but you need to follow the workflow below. 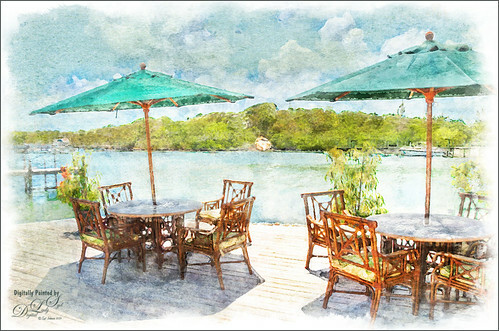 I am finding that this is really a great way to add some creative effects into an image. 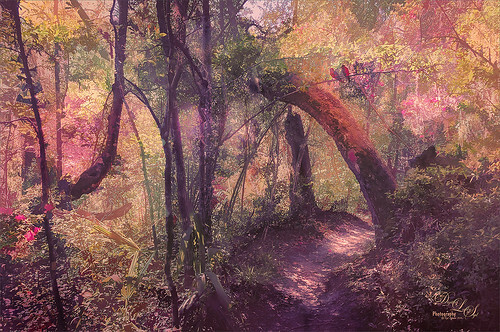 It was presented in Unmesh Dinda’s totally excellent video called Master Hue/Saturation from Start to Finish in Photoshop. This 38-minute video is by far the best I have seen on the Hue/Saturation Adjustment Layer so if you have the time, watch it. You will learn some new things. 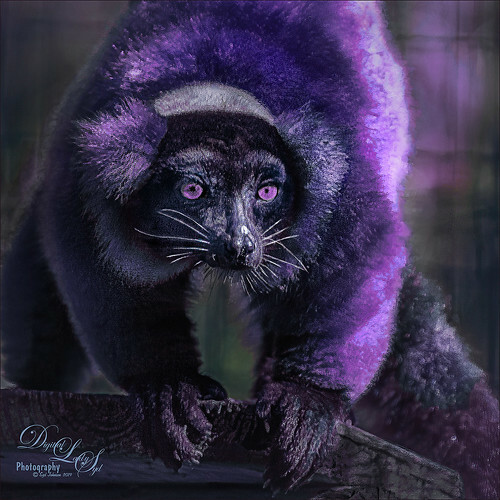 After viewing Unmesh’s video, I was able to turn this Lemur fur purple very easily – I was totally blown away by how natural the color replacement looked. 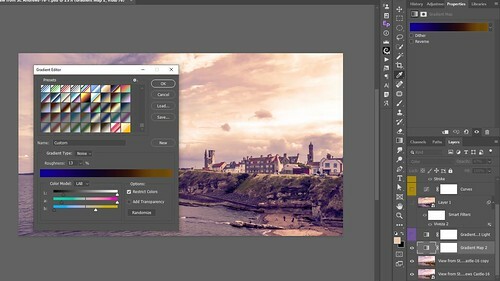 What is happening is that by looking at the horizontal strips at the bottom of the Hue/Saturation Adjustment Layer and moving the gray slider indicator in the middle of the two strips, the bottom strip color will show a very exact color replacement in your image. Don’t worry about this, it it pretty intuitive once you try it. Totally amazing and very easy to get the correct color change and coverage. 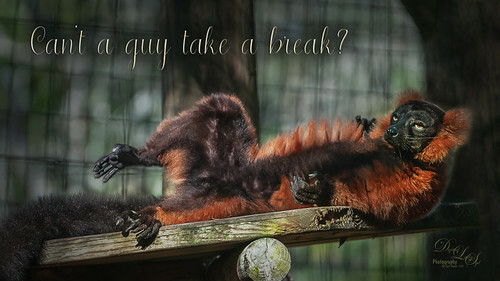 A lot of post processing was done on just the original Red Ruffer Lemur image and it seemed finished (see last image of blog for this result). 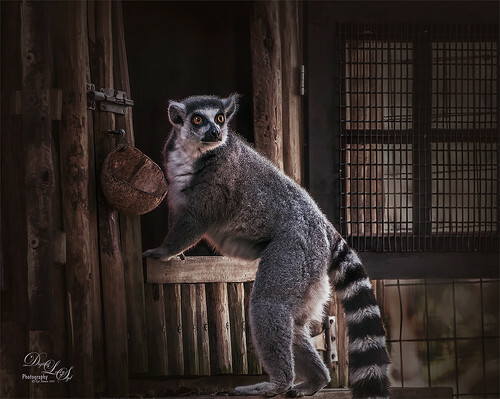 To change the fur color, two Hue/Saturation Adjustment Layers were used to adjust slightly different color tones on the fur (the reddish orange and the really over-exposed yellow white area on the right side of lemur.) My short video shows how to achieve a similar result using the free Lily Pads image from a set called 20 Free Photos From Seychelles. (I use these images all the time for practice.) 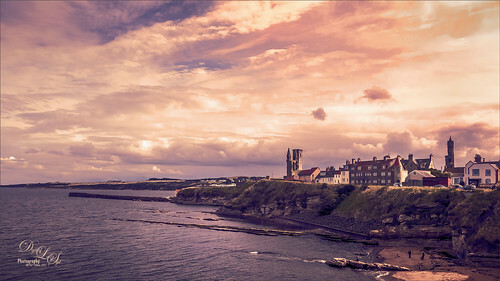 In this case two color ranges were changed using just one Hue/Saturation Adjustment Layer. 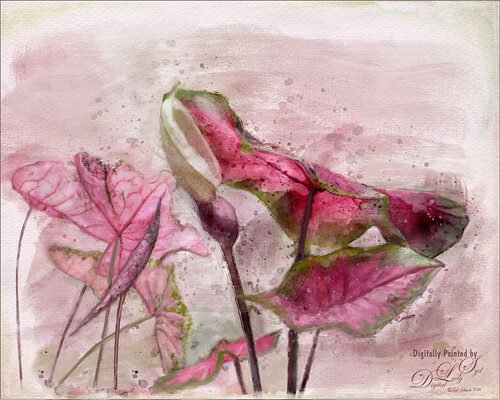 The final result of the Lily Pads image from the video is shown below. Two slightly different iterations were created just by setting the adjustment layer sliders and the gray slider between the horizontal strips at different positions. Move the Saturation and the Hue sliders all the way right. Look at the horizontal color strips at the bottom of the panel – the area between show a gray slider with tabs on the ends and indicates the range of color PS has chosen. The top vertical strip and bottom strips look the same right now. You can make the color range narrower or larger by moving on the gray slider the little vertical straight line tabs closer together or further apart – look at your now crazy colored image to see what areas are being affected. (This is not unlike the way the Blend If tabs in the Layer Style Panel work.) Basically I just dragged the straight vertical lines out until the red fur was turned to a purplish color (or the water was covered with a color I liked). It will be adjusted more later. Now set the Hue and Saturation sliders back to 0 by double clicking on the words. Last step is to adjust the Hue slider to bring in the new color more cleanly. You will see those colors show up on the bottom horizontal strip and the top line will retain the original colors so you can compare the ranges easily. You can also adjust the Saturation and the Lightness sliders here. 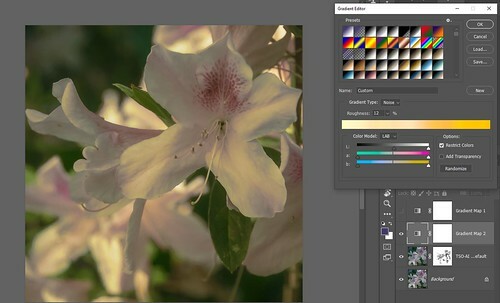 Note: when using Hue/Saturation Adjustment Layer (or just Adjustment), the Lightness slider should not be used with the Master selected – looks really bad, but in the individual colors, it is fine to move the Lightness slider. Also go back and move the gray slider between the horizontal color bars to possibly get an even better color blend. 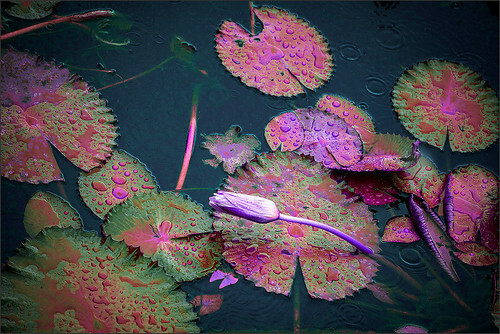 The two other examples of the Lily Pads image show that by using this technique, the different colors can be changed to get other looks. Note that all three versions used a Curves Adjustment Layer on top to add a little contrast back into the image. This is a pretty basic blog on Dodging and Burning – a topic everyone knows about can be so confusing when you see all the different methods out there from the various Photoshop gurus. I have done several blogs on dodging and burning using other techniques (see my related blogs at the end of post). Recently I was looking through Glyn Dewis’s (another great PS guru) really good book called Photograph Like a Thief and found this technique. 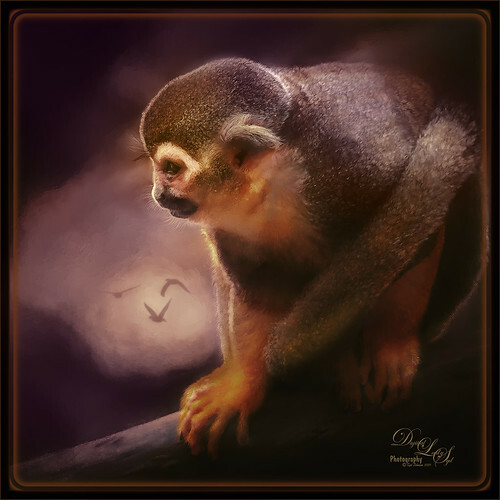 Had to try it out so here is my guinea pig, I mean Squirrel Monkey, taken at the Jacksonville Zoo in Florida. It is a good example for using this technique since he has a lot of back-lighting on his body (this little guy just would not stop moving long enough for me to get his face straight on through a fence, so this is what I got – as they say better than no picture at all). 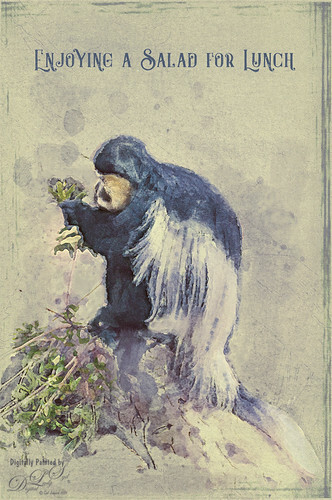 Using the following steps, the monkey was dodged over the edges of his face, whiskers, top of his head to emphasize the lighting effect, and burned where his tail is and parts of his fingers to show a little separation in these areas. I am sure you have heard of this technique using black and white brushes to paint in where the highlights and shadows should be. This time, besides using the 50% gray layer, the Dodge Tool and Burn Tools were selected instead of the Brush Tool to create a really nice soft effect. Simple enough. So lets start with the easy set up workflow and then discuss why you would do it this way. 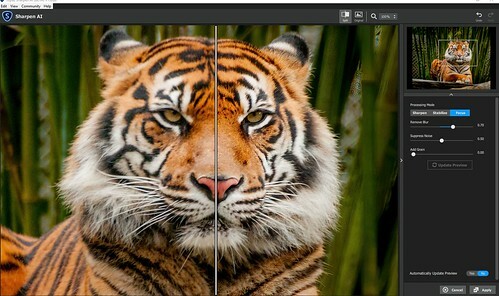 Create a New Layer on top of your image this way: ALT+click on the New Layer icon at the bottom of the Layers Panel. Name the layer Dodge and Burn, set the Mode to Soft Light so the Fill with Soft-Light-neutral color (50% gray) checkbox is visible. Set the color swatches to their default black and white (CTRL+D for black and white, and then click on the Foreground Color and open the Color Picker – set it to Midtone Gray – H0/S0/B50). It does not seem to matter if you forget this right now, but you do need to create a Medium Gray foreground color to do this technique correctly. Select the Dodge Tool (O Key) in the Toolbar. Create a soft round brush and in the Options Bar use these settings: Range: Midtones, Exposure5%, and check the Protect Tones box. I saved my brush and named it GDewis Dodge Brush. With the Dodge Tool selected, softly paint over the light areas of your image where you would like some extra highlights to be. Build up your effect slowly as a little bit goes a long way. Hold down the ALT Key and the same settings will be used to paint with the Burn Tool – paint over areas to be darkened and also build up the effect. For example, if my regular Burn Tool brush is set to 23% Exposure setting, it does not matter – just the 5% that is in the Dodge Tool settings is applied. (This applies the reverse way if the Burn Tool is selected and the ALT Key is held for the Dodge Tool.) Major Cool! If you made a mistake and an area is too light or too dark, switch to the Brush Tool and paint over the white or black marks to set it back to the Medium Gray instead of trying to erase it. That is why the foreground is set to Medium Gray. Also Major Cool! Set the Brush Tool opacity to less if you only want to reduce the effect partially. To see the gray layer without the underlying layers, ALT+click on the eyeball and the other layers disappear. ALT+click on the eyeball again and they appear. This makes it really easy to fine tune areas that may be over brightened or darkened. I find I am constantly turning this on and off to see where the effect appears overdone. You can adjust the Exposure setting as much as you want, but he prefers to keep it fairly low – in the 5-10% range – and building the effect up slowly. Some info from The Photoshop Wow Book for CS3 and CS4 follows: Many people like to use the Overlay blend mode instead of Soft Light for the gray layer. Just watch out for your image becoming too saturated – if this happens, change to Soft Light. Also, the Protect Tones checkbox causes the tool to reduce its effect on pure black or white (Adobe says it minimizes clipping in the shadows and highlights). It also attempts to protect the hue so your colors do not become more neutral as you alter their luminance. And different types of brush tips can be used and settings just like with a regular brush – only Color Dynamics is not available in the in Brush Panel. Try changing the Exposure Jitter slider in the Transfer section for an interesting different result. 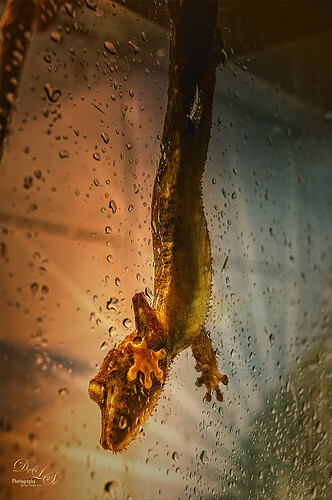 The Alligator image below used three dodging and burning techniques to get this final effect. I really like the subtle way Glyn’s technique adds the contrast. 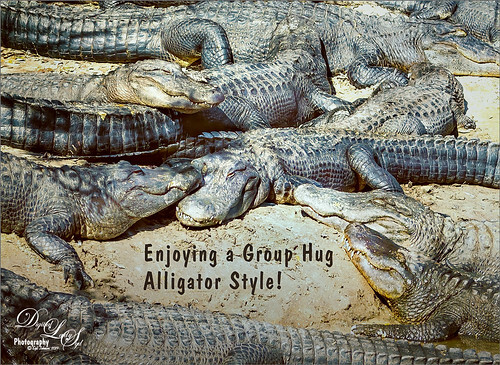 But the image needed some small details lines added for separation as these alligators are look similar – so I used my Best Dodging and Burning Technique blog on a separate layer above, then a couple Curves Adjustment Layers were used to paint in parts of the areas that needed a little more darkening and lightening. The point is, sometimes you just have to combine techniques. This technique finally makes sense to me and here is why. I have always been confused as to why some people just use black and white brushes to dodge and burn since it creates a pretty good result also. Glen says “…. 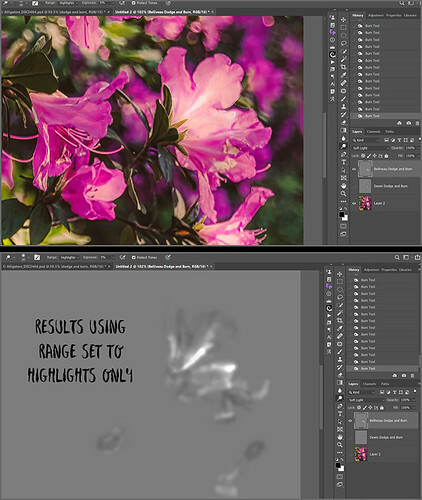 when I’m dodging and burning, if I need to remove or reduce an area, I can quickly select a brush and paint over the area with this 50% gray color at whatever opacity I choose.” This means it is much faster to remove mistakes by just switching to the Brush Tool (B Key) instead of using the Erase Tool which may be too strong or sharp, or having to keep selecting the gray color for the foreground color to make the correction and then changing the foreground back to black. Otherwise I am not sure there is a lot of difference. It works great on portraits which is what Glyn’s photography seems to emphasize. 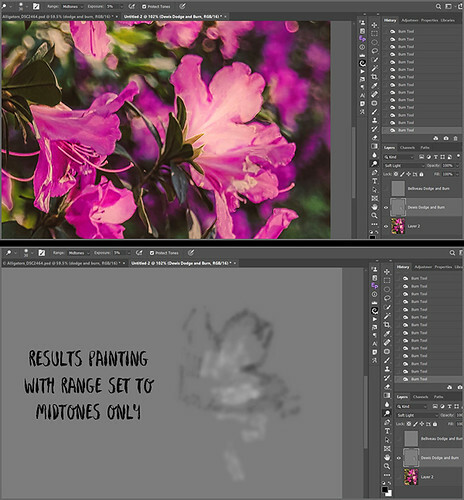 But on a very busy floral image of Azaleas, it just had very little effect. That confused me – until – wait the Dodge and Burn Tools are both set to Range Midtones. If your image is has more contrast to start, then possibly a Range set to Highlights would make more sense for painting with the Dodge Tool. 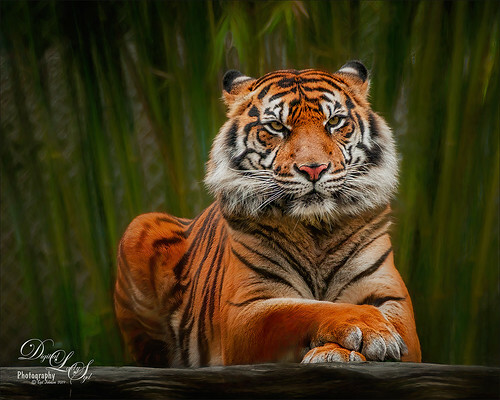 David Belliveau, the wonderful painter and illustrator, in his Dodge & Burn: How to Fix Highlights in Your Paintings video says using the Dodge Tool set to a Midtones Range, even if you keep painting over it, only affects the midtones in your image. 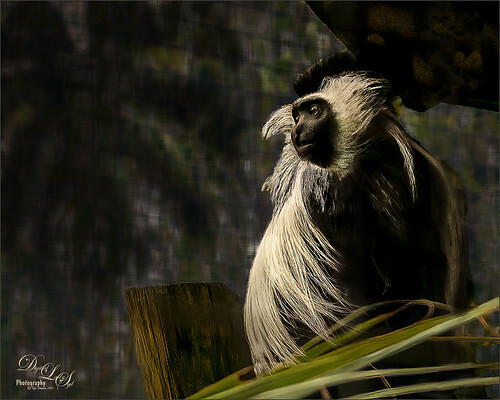 The highlights or shadows will remain the same and you could very easily blow out the midtones. See left side image below. If you set the Range to Highlights, all the sudden the whites popped a lot more. 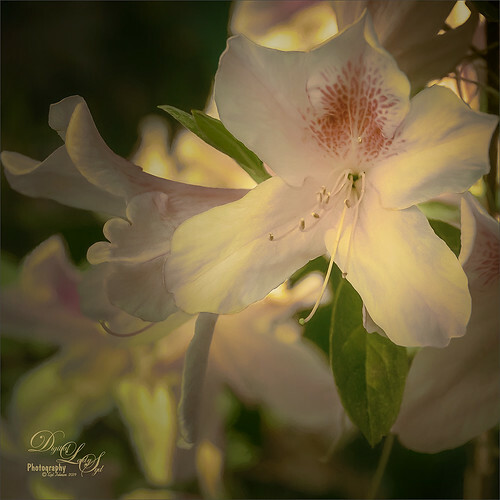 Since Azaleas have a lot of white in them, it is what was needed on the flowers. By changing the Dodge Tool to a Shadows Range and painting over the darker areas, just a little bit of light is introduced into the darkest areas. If the Dodge Tool is set to Highlights Range and the ALT key is held down to get the Burn Tool, what happens? When I tried this, it added just a little bit of darkening to the edges of my flowers and actually slight cooled down blow areas in parts of the flowers. This was a surprise to me, but definitely worth trying when you have blown out areas of an image that is attracting too much attention. See the right side image below. Glyn Dewis also says it makes it a lot easier to blend or transition the light and dark areas on an image, especially in portraits. One of his portrait tricks is to select with the Lasso Tool for example on the gray layer a rough transition area, and duplicate the selection by clicking CTRL+J. Then on selected area go to Filter -> Blur -> Gaussian Blur to soften the transition a little bit. The Best Dodging and Burning Technique!